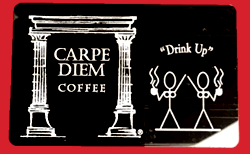 If you are a fan of our coffee, why not show it? 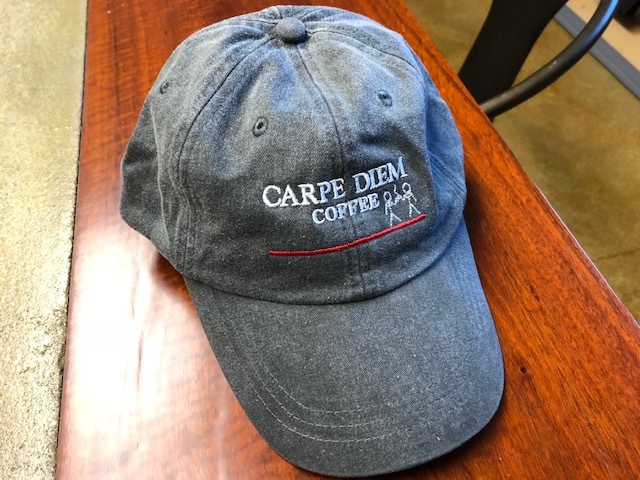 The cap is charcoal gray, with Carpe Diem Coffee embroidered on the front and a leather strap to adjust to size in the back. Makes a thoughtful gift, too. The gift that keeps on giving! Sold in amounts of $25, $50 and $100. Redeeming a Gift Card: Make sure to have your 16-digit card number and 3-digit CVV code handy when you call in an order! These mugs will take you right back to that old favorite diner you went to years ago. 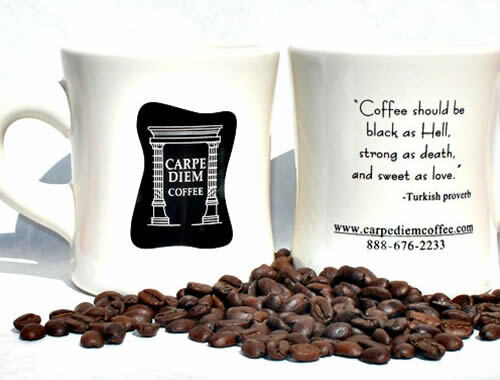 Its thick ceramic build sports the same Turkish proverb and our retro-ized logo. 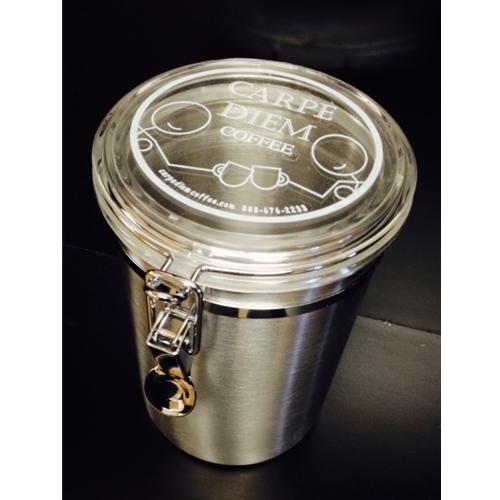 This handsome coffee canister is perfect for storing a pound of Carpe Diem Coffee! A smashing addition to your kitchen. We’ve done some cute stuff here at Carpe Diem but these greeting cards might be our best work yet! The set of six includes two Thank-You cards, a Thinking of you, a Happy Birthday, a sweet thought, and a blank card. 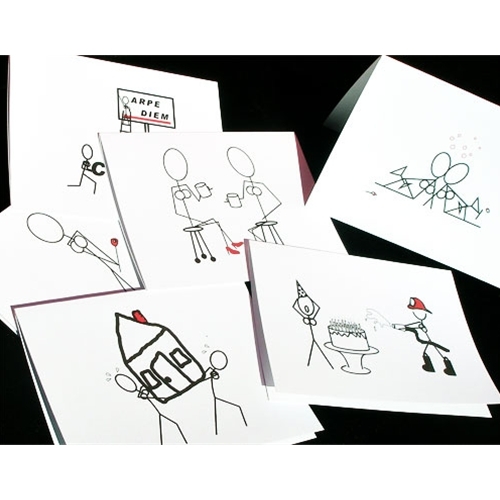 Each card features our stick-figure women and comes with an envelope all packaged in a handsome red sleeve.